So yummy. I really will have to make myself some mitts with Capra (or some other cashmere blend yarn). 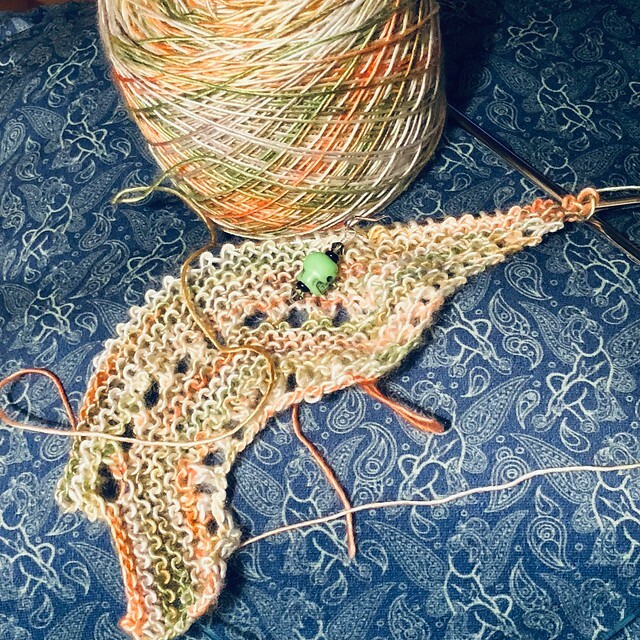 This yarn is an artist’s series special from Purls of Joy in Healdsburg, which I picked up when visiting a friend over the summer. It’s a merino / silk blend and so pretty. 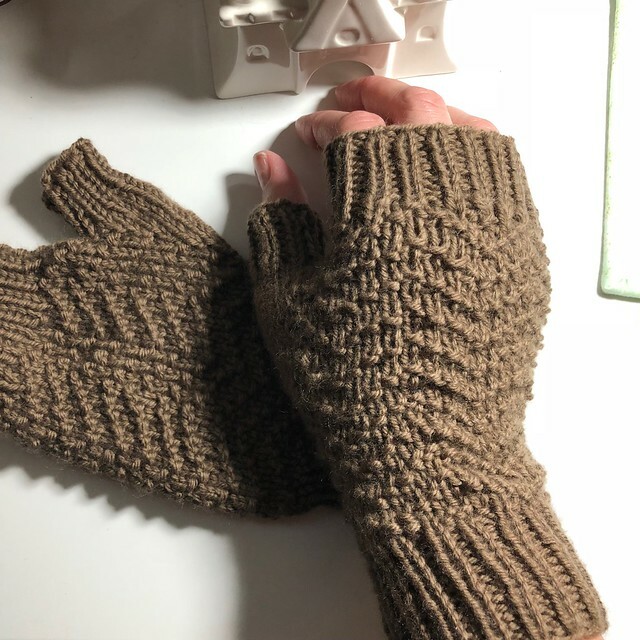 And finally, I have also been knitting on the Seeta Mitts again. 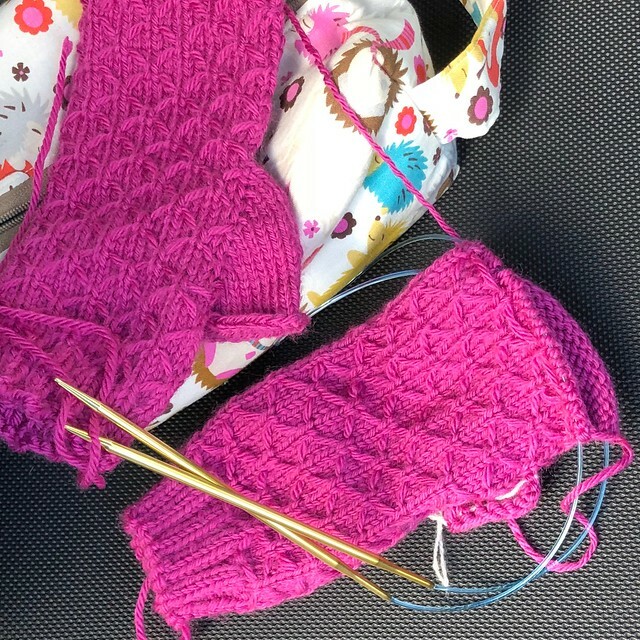 Some time ago I finished Mitt #1 and the cuff of Mitt #2, and then stalled out on them. (Not sure why. I think I was on gift knitting burnout. It happens.) So they’ve been hibernating for some time, but are now almost finished. I have knit Mitt #1 and all of Mitt #2 except the top ribbing and the thumb. Close To You Shawl Finally FO! Geek-A-Long knitting mitt love Raw Honey Mitts Seeta Mitts WiP it! All of them look beautiful! And I love the yarn you’re using in that shawl. Thank you! I wasn’t planning on buying any yarn when I took that trip to visit my friend, but when I saw this yarn I couldn’t resist! Thank you! The Raw Honey mitts are also so soft and comfy. The pink ones have been completed now, and I hope to have an FO pic of them next Wednesday.